The Permanent Account Number is a unique ten-digit alphanumeric number issued under the Indian Income Tax Department. The PAN is a document which is needed for financial works like an opening bank account, receiving taxable salary etc. The PAN card includes a photo ID of the individual and can be used to vote on the day of polling. The people employed under the Mahatma Gandhi National Rural Employment Guarantee Act has a card with a photo ID. 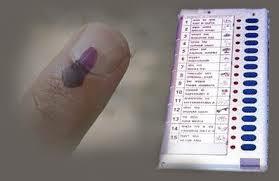 It can be used as an alternative to Voters ID if the person has their name in the voter’s list.